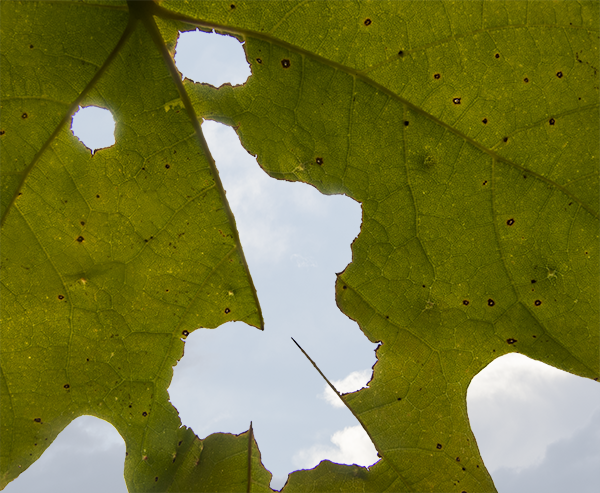 I was under this leaf. Fortunately no rain was in the forecast. 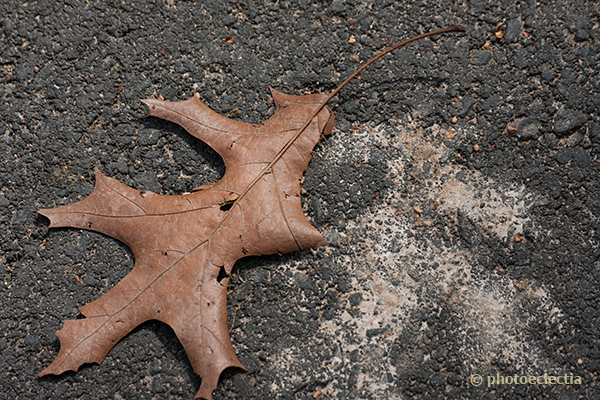 Amidst the profusion of colorful spring flowers and fuzzy greening trees sat this little fall leaf leftover, keeping its shadow company. I am a frequent visitor to the U.S. Botanic Garden as it’s only two blocks from where I work. Between the inside and outside displays of plants and flowers that are available to me all throughout the year, I have many, many beautiful “postcard” shots from there in my portfolio of photos. 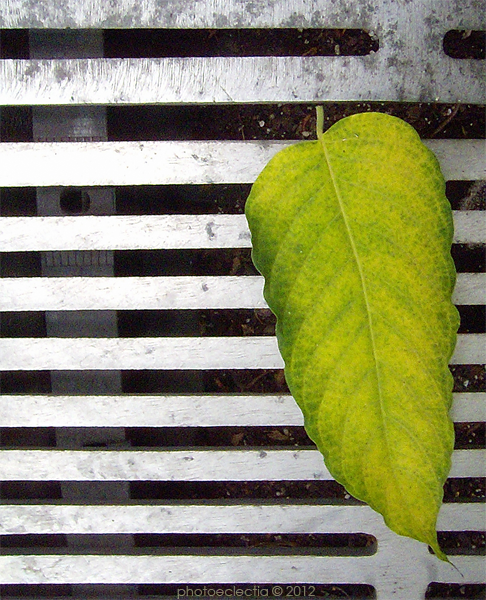 But I always keep an eye out for the unusual shot that does not say “yeah, this is another beautiful garden presided over by a gardener who knows what they’re doing.” I doubt that this lone leaf, which had drifted down to rest on a grate, tells you anything about the Botanic Garden, but I hope that you enjoy looking at it from a design aspect as much as I enjoyed composing and capturing the image.